ADEN - The rocket that tore through a minivan outside the Aden Grand Hotel last week killing nine men, women and children was a clear message that it was time to leave. Yemen’s civil war had come too close for comfort. As Shiite Muslim fighters closed in on Aden to confront President Abd Rabbu Mansour Hadi and his supporters, they cut off all escape routes by road and foreigners in the city began jostling for a way out. Workers from the oil, shipping and services industries, as well as doctors, engineers and students made for the old port terminal erected by Aden’s colonial British rulers more than 90 years ago. They included Indians, Nepalis, Syrians, Egyptians and Iraqis, as well as British and Americans, some of Yemeni origin. 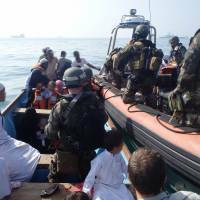 Many arrived to waiting navy ships sent by their own governments to evacuate them. 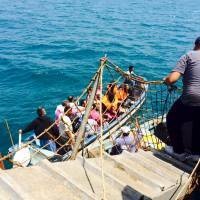 Others searched desperately for any boat to carry them to safety. The vessel that was to be my salvation turned out to be a rusting oil tanker chartered to carry 40 students home to Djibouti. Eventually, more than 200 people would cram the deck of the Sea Princess II on a 20-hour journey through the Gulf of Aden. With no passenger quarters, evacuees shared the bare steel deck to catch some sleep at night. By day they squeezed into small corridors at the rear of the ship to shelter from the blazing sun, feeding mainly on small portions of bread and cheese or jam provided by the crew. The rocket attack on the minivan shook the hotel like an earthquake, shattering windows and dislodging a cellar door from the wall. A Syrian hotel staff member cleaned up the wounds of a young Yemeni who stumbled into the lobby with blood dripping from cuts all over his body and a bone protruding from his elbow, and ordered him a taxi to a hospital. When a second explosion rocked the hotel, most Yemeni staff left. Desperate to get his family out of Aden, one of the hotel’s Iraqi staff ventured to the port, where he learned that a ship was preparing to sail. He rushed back to pass on the news. Four of us quickly packed, jumped into a taxi and rushed for the port, explosions and gunfire reverberating behind us as we raced through the city’s old quarters toward the tip of Aden’s volcanic peninsula. At the port, we found the small immigration office in chaos. Staff denied a ship was due to sail soon, ignoring pleas from the Djiboutian students who insisted that a vessel had been chartered to take them home. We made our way through the shabby concrete blocks of the nearby fishing port, that officials confirmed that the Sea Princess II was docked, and due to sail soon. We handed our passports to immigration to be stamped for departure, and waited outside the metal gate for our documents to come back. At sunset, we were told it was too late for the ship to sail and we should come back the next morning. Our protests fell on deaf ears as staff hurried home before the wartime nightly curfew came into effect. With no place to go to and our passports still with immigration officials, we spent the night in sailors’ quarters — three rooms inside the port’s offices with sponge mattresses dirty with sweat and dust. Hungry and worried that our passports were lost, we barely slept, staring instead at the dark ceiling and listening to explosions and barking dogs outside. As the sun rose, the port sprang to life as staff arrived for work. We waited while port officials angrily debated whether to ferry passengers to the ship from the fishermen’s port or from the tourist terminal about a mile away, and whether we could all fit on one ship. We were sent to the dockside, several hundred meters away, to wait for another four hours in the sun. When a group of us finally pulled out of the dock in a small boat, we heard explosions in the distance and at least two projectiles splashed in the water a few hundred meters away. Less than 3 miles (5 km) behind us, Houthi fighters were fighting their way into the Aden district we had fled the day before. 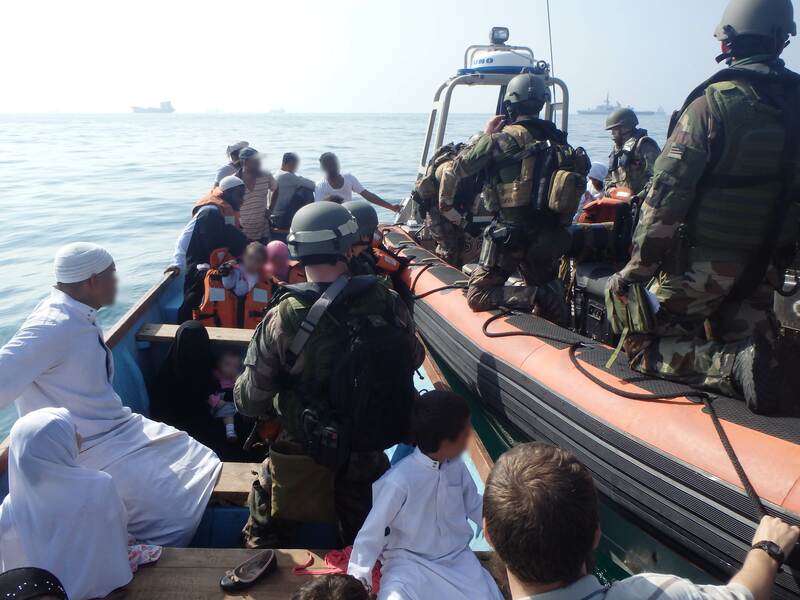 It was another six hours before the ship was ready to sail, having received clearance from the multiple naval forces patrolling the Gulf of Aden. But as soon as it weighed anchor, boats of various sizes streamed alongside, carrying desperate foreigners begging to be allowed on board. The Syrian captain was reluctant to take on passengers not listed by port authorities. 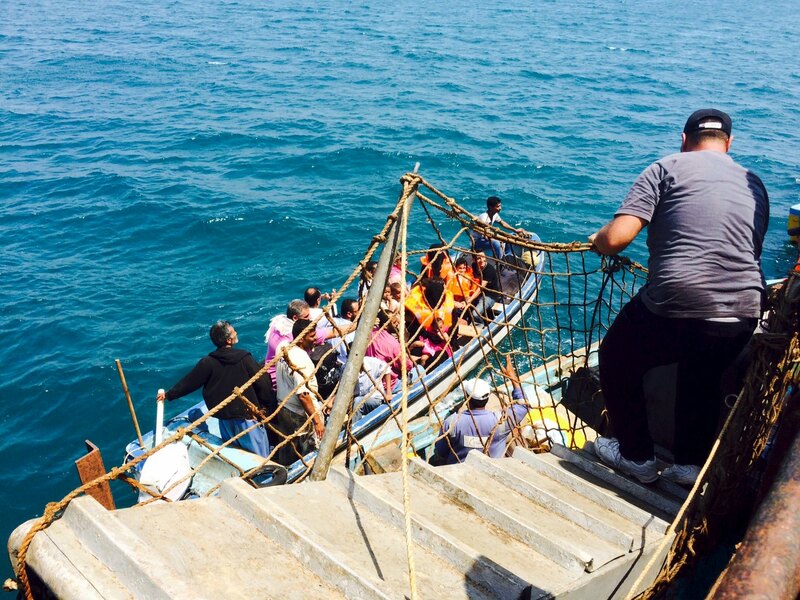 But, looking down at the pleading faces of scared men, women and children, he ordered them all brought on board. As night fell, our ship quietly pulled out of harbor, and slipped away from Yemen’s war.